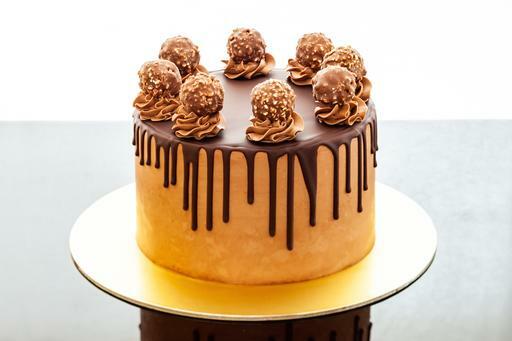 Chocolate lovers will rejoice with this Ferrero Rocher Drip cake! You can choose the flavour inside but we recommend going with the Big Daddy flavour to complete the hazelnut experience. Please note: Words will be written on the cake board.